We have a few new faces in the Rowan Office! Although not new to the company, our latest addition is new to the Estimating Department. Christian Lopez joined Rowan Electric in January 2014, working part-time in the warehouse before eventually transitioning into new construction. In July 2017, he interviewed for the opportunity to assist in the estimating department. We are thrilled to welcome him to the team! We also have a new Project Manager! Mathew Steinbacher brings over 20 years of experience in the electrical industry; from California to Oregon and back again, he has worked in nearly every department of the trade including estimating, project management and operations management. Lastly, Rowan has welcomed Bekah Rowan as an Administrative Assistant. After growing up in the Eastern Sierras, she recently relocated to Southern California and joined the Rowan team in October 2017. Bekah has 8 years of experience in the electrical industry’s customer service, coordination, and administrative work. We have an exciting new project underway called Millenia. Millenia is a new retail outlet in Chula Vista which includes four Anchor Stores: Buy Buy Baby, Ross, World Market and Home Goods, and will also include five retail building shells. Managing this new exciting project is Rowan Electric’s newest Project Manager, Mathew Steinbacher. Entercom is one of the nation’s largest radio broadcasters, with over 235 stations from coast to coast, and recently merged with CBS Radio and earned the broadcast rights for the Chicago Bulls and New England Patriots. Here in San Diego, Entercom retains 5 popular radio stations: 103.7 KSON (formerly 97.3), Sunny 98.1, Energy 97.3 (formerly 103.7), KYXY 96.5, and ALT 94.9 (formerly FM 94.9). Rowan Electric had a short 6-week time-frame to complete this project, which encompassed the entire 6th floor of the building, and used a two-pronged approach utilizing both our Service/Specialty and New Construction departments. During the first stage of the Entercom project, the Rowan Service/Specialty Department provided a turn key emergency back up generator system. A 300kw diesel generator was installed in the parking lot 255-feet away from the building. Through trenching with heavy machinery and boring into the building, Rowan Electric was able to connect the generator to the building’s main electrical room. The main electrical room was then setup with a 400-amp meter section and Automatic Transfer Switch (ATS). 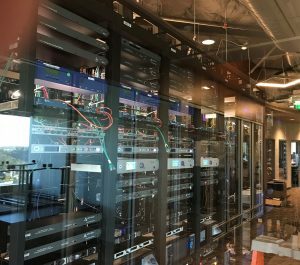 From the ATS in the main electrical room conduit was ran through the building to the 6th floor where a 400-amp EM panel was installed to handle Entercom’s critical loads. Tom Eisenhart was the team leader on the generator scope and produced an outstanding result. When the New Construction stage began, foreman Malik Guthrie had his hands full, and did an excellent job bringing this project in. The short duration posed the biggest challenge to this project. 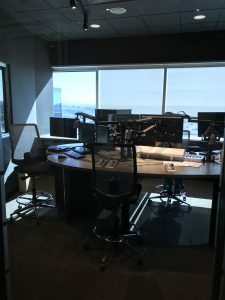 Additionally, a portion of the space and infrastructure had to be completed prior to the 6-week deadline because one studio had to be online and broadcasting before the completion of the entire build-out. 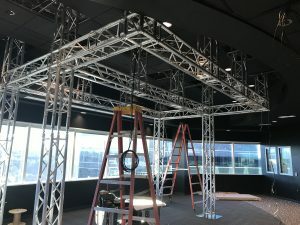 The space is filled with high-end lighting, extensive low voltage / data infrastructure, and some extreme sound proofing in addition to a large UPS system was installed. The finished space houses 12 radio broadcast studios and a television production studio. We’ve all had that same thought when it comes to the work Safety Meetings, Safety Training, or just about anything to do with safety that comes through in an email or in a phone call. The million-dollar question is, why? Many people view safety as just another time-wasting policy for companies to develop and enforce in an effort to save money, gain cheaper insurance, and to look better on paper. And in the cynic’s mind, this is all run by some paper pushing, control freak who should have gracefully exited the company years ago, but instead, was “promoted” to Safety Manager. The latter is not always entirely true, but that is how some of us view the company “Safety Guy”. The big takeaway from the workshop was about changing the employee’s knowledge and perception of the company’s policies. Do our employees see their company’s policies as a “box to be checked” or do they recognize the value in a well-structured Safety Program? The intent behind every Safety Program is to send the employee home safe every day. However, does the employee truly “feel” that? How are we communicating that to the employee? Do we show them that we care, or are we just telling them policy and hoping that they follow it? I recently had a conversation with an apprentice. I asked him why he wore his safety glasses. His response was because it was the company’s policy. I couldn’t argue with that logic, but I asked the question again, with a different approach, “Why do you think I wear my safety glasses?” With a rather perplexed look, he shrugged. I went on to explain, “I wear my safety glasses, first and foremost, to protect my eyesight; secondly, because it’s company policy.” I wear my glasses for a personal motivation. I want to be able to go home every night and look at my beautiful wife and amazing kids. I want to be able to watch my daughters walk down the aisle on their wedding day. I want to play catch with my son. I love to hike and experience the outdoors and without my eyesight, I wouldn’t be able to see its beauty. This is the same perspective I use with electricians working on energized equipment. I tell our project managers and foreman all time, it’s not the ability of the person doing the work that is the main concern. The risk we are asking them to put themselves into is solely based on the expectation for the equipment to do its job. When I ask our foreman if they are willing to put their hands into equipment that hasn’t been maintained, or may fail, their answer is always no. That is because their life has value to not only themselves, but to their families and friends. This is the very reason why our language of safety needs to be more personal or relational. It goes beyond some rules on a paper. Because we value our employees and their well-being, we need them to value the policies that the company creates. By finding value in the policy, our employees will know we care. And that point, it’s not just good policy on paper, it’s a good policy in life. I recently had the distinct pleasure and opportunity to sit down with Kevin Fortney at his current project, San Diego Probation Office Building, in San Diego with White Construction. Kevin began working with Rowan in February of 2014 and has been on the fast track to the top with his attention to quality, production, and just all around hardworking mentality. 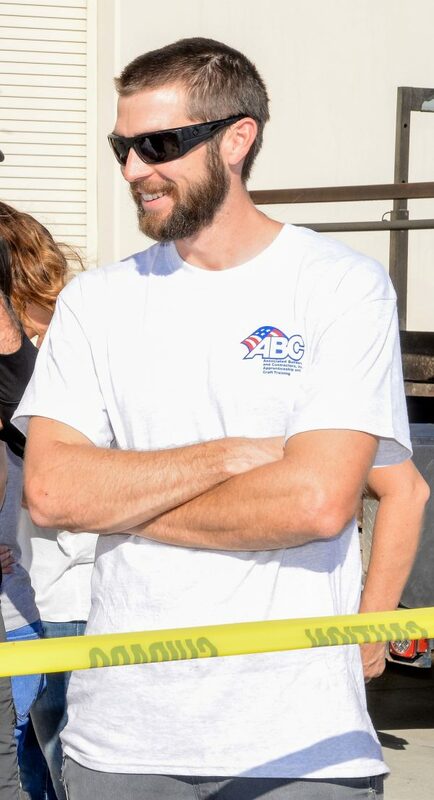 With his even-keel personality, Kevin is a joy to work with and is always eager to get the job done. His quality of work and production speak for him. So, Kevin how long have you been at Rowan Electric? 4 years now and growing. Why did you choose the Electrical Trade? I enjoy the electrical trade, because of the challenges it brings. You must know everything that is going on within the project. Everyday there are new challenges and different trades you have to coordinate with to get our job done. What particular projects have you been a part of since joining Rowan and what is your current project? I have worked on ground up jobs and TI’s. The ground up jobs have been the Hilton Garden Inn, Public Storage, ViaSat Bldg. 11, Mountain Health, Alpine Library, and High Gate Senior Living. The High Gate project was my first crack at being a Foreman, and given the challenges it presented, it prepared me even more for what I am doing now and how to overcome obstacles to get our job done. The TI’s I have been a part of have been: Realty Income and my current project, San Diego Probation Office. Who or what has been your greatest influence at Rowan Electric? The one individual that has influenced me the most in the field has been Chris Sweeney. I worked with him for just over a year, between the Realty Income Project and ViaSat Bldg.11. When I started working for Chris, I was fresh into the trade and barely knew anything. By the time we got the ViaSat project, Chris was able to lean on me as a lead man and continued to help me grow to where I am now. I really like to Mountain Bike, Trial Running, Fishing, and going to the beach. Most of all I enjoy spending time with my family. After all, without their support, I wouldn’t be able to do what I am doing now. I want to be a knowledgeable Foreman and possibly start looking into to becoming a Project Manager. Lastly, before I let you get back to work, if you could go back to the beginning of your electrical career with the knowledge you have currently, what would you tell yourself then that might have changed things for you today? The one thing that I wish I took more seriously when I first started out was taking the opportunity to go into the office and work in the estimating department for 6 months. Now that I am running work I feel like it would have helped me to better understand how bids are put together, understanding blueprint reading, and how to understand estimating the time for change orders. Kevin, thanks for your time and it’s been my honor to get to know you a bit more, and I look forward to being on the sidelines cheering you on in your future success. No problem Tom, Rowan is a wonderful place to work and has many opportunities if you just work hard and do your job well. Since 1998, Rowan Electric has realized steady growth. 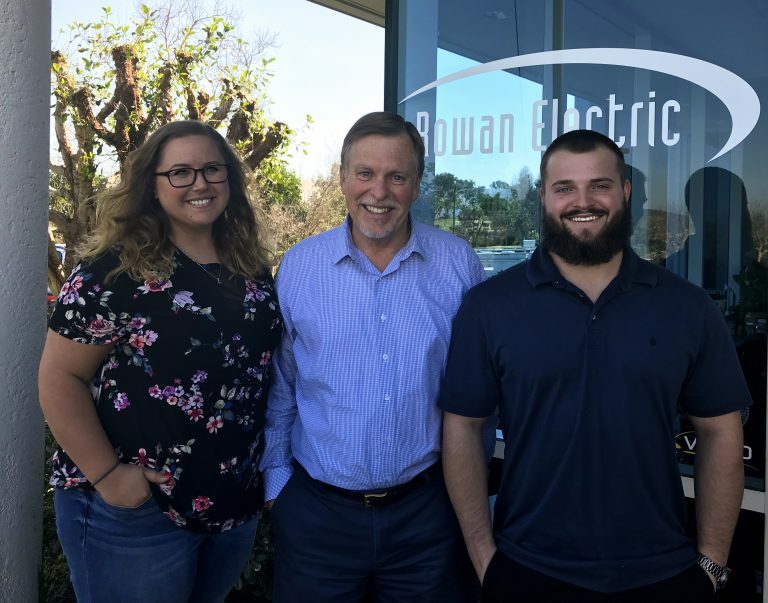 While maintaining its founding principles, Rowan Electric has welcomed field personnel, staff, and a service department who gladly service the needs of our valued clients. With both a service department (to handle smaller projects) and general construction, Rowan Electric is able to seamlessly service the smallest of needs to the multi-million dollar contracts. More than 30 years in the electrical industry has allowed Rowan Electric’s key players to have experience in all aspects of the traditional electrical applications. Commercial, Industrial, Institutional, Warehousing and Multi-family are all familiar territory – design/build or plan and specification. In addition to traditional electrical applications, Rowan Electric is also equipped to address the growing concerns with energy conservation and uses of renewable resources. With extensive experience in innovation, development, and installation of alternative power generation systems, Rowan Electric can design and build energy- saving technology, equipping our clients with cutting edge solutions.